I’ve done this before with previous projects, but this is the first time I’ve done it for the-spot.net. 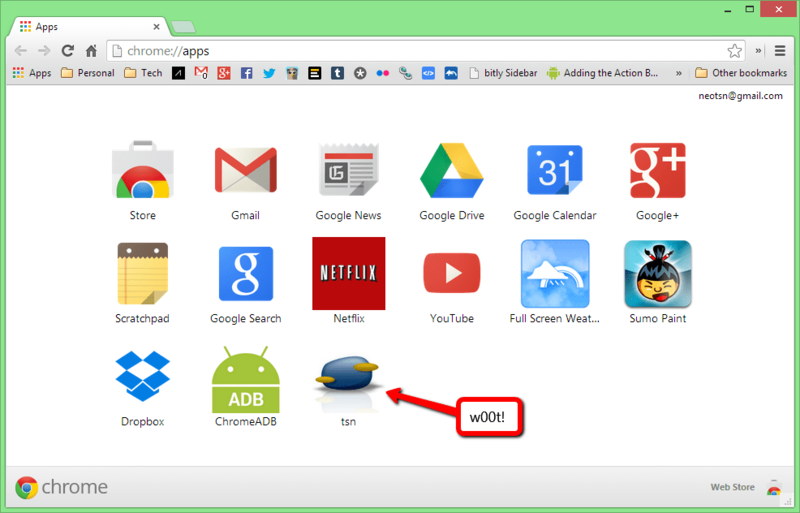 Now you can get the tsn website put right into your Google Chrome Apps page (“chrome://apps” in the Omnibar). You can download the .crx file here. Well, first, you need to make sure you have Chrome installed. 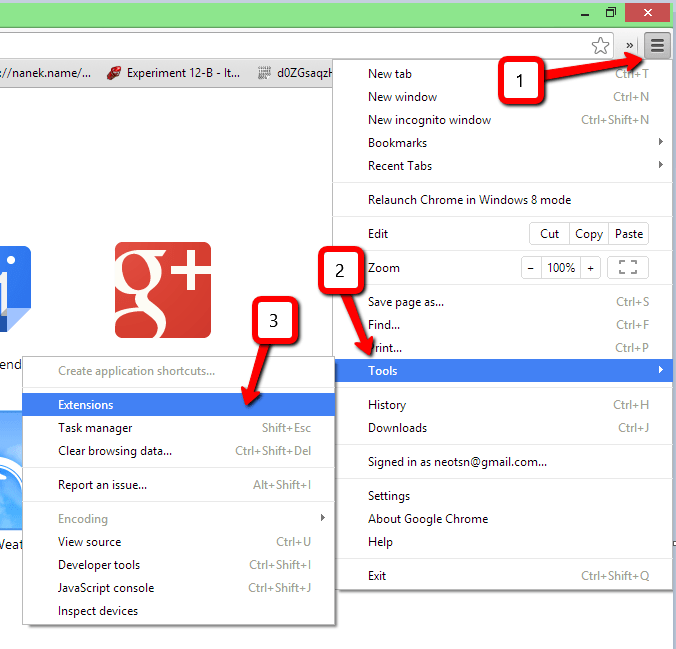 Then open Chrome, obviously, and go to the three-line icon, click it, and choose Tools > Extensions. 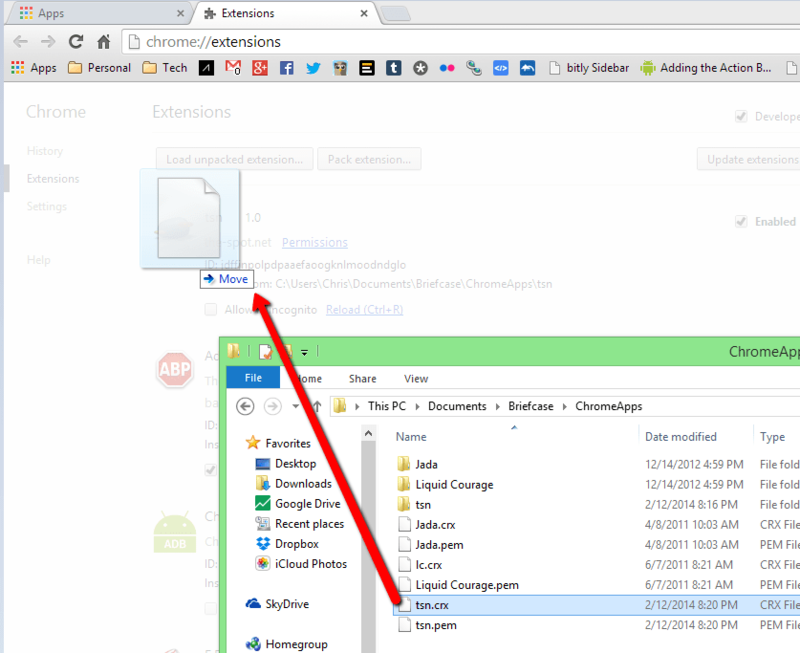 Now, find the tsn.crx file you downloaded, and drag it onto the browser window. Click the confirmation dialog, and you should see it installed, with the tsn icon in your list of extensions.